Rolex Daytonas are a common sight among sportscar enthusiasts, but only 50 wrists will be adorned with a Daytona “recreated” by the craftsmen of Artisans de Geneve. 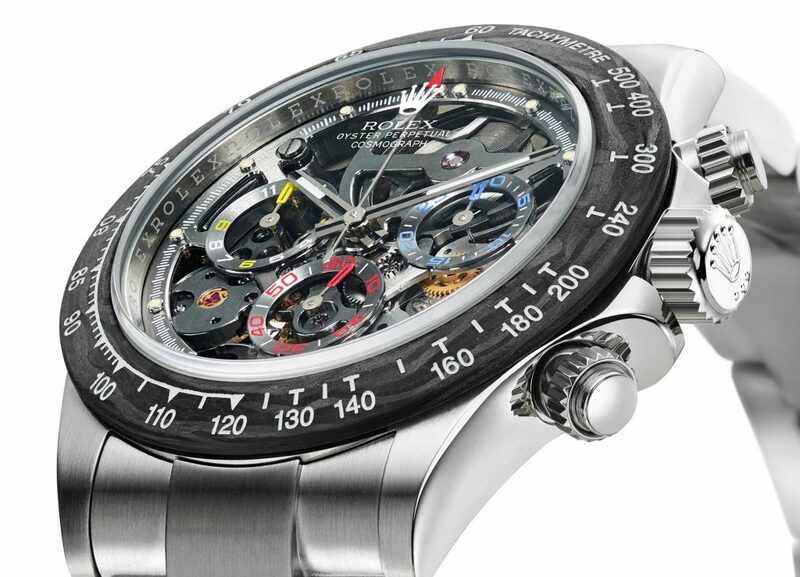 Inspired by Formula 1 driver Juan Pablo Montoya, each watch begins as a standard 44mm stainless Daytona. But only the band and the 4130 movement remain in stock form as virtually every part of the timepiece is customized. A 22-karat gold rotor powers the mechanism, visible through the skeletonized dial and the transparent sapphire crystal case back. The term “captivating” is grossly inadequate to describe the ability to actually see a Daytona movement in action. 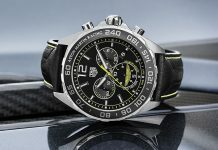 Other notable features include the carbon tachymeter bezel and counters painted in the colors of the Colombian flag to keep track of lap times. All this at a price equivalent to a gold Daytona makes this edition a must-have for any serious Rolexophile; ArtisansDeGeneve.com.